Today a simple gamewhere no graphics, no sound effects, are experiencing a rebirth. Playing them, the user focuses on story and not on artistic techniques. To create such games is well-suited language Pascal. 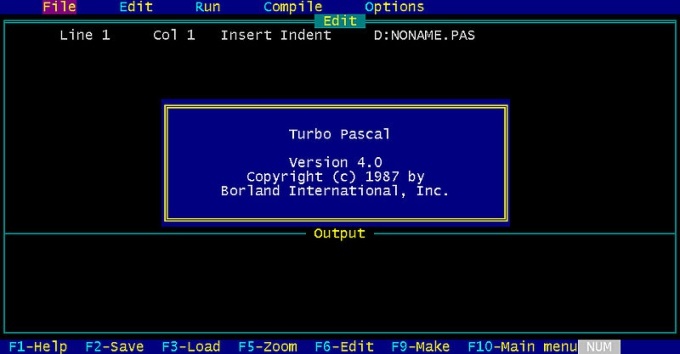 Download a compiler of Pascal from the following page - http://edn.embarcadero.com/article/20803. Read the terms and conditions of use of the software, and then install it. Enter the operator for the completion of the program:end. Save the program under any desired name using the menu file -> Save as. In the future, after any editing, save it by pressing F2. To run the program on execution, simultaneously press the Control key and F9. After the completion of the program in order to see what she brought to the screen just before this, simultaneously press the Alt and F5. To return to the editor press this key combination again.